From developing initial swimming pool designs through to construction, swimming pool development can be an involved process. Natural Pool builders will involve you in the whole process, from concept to creation, ensuring your peace of mind. Insurance, permits, construction program, excavation details, access, site preparation. Ensuring strucural integrity, co-ordination and supervising, sub floor drainage, concrete shell. Skimmer, main drain, hydrostatic valve, plumbing, finishes, waterline, coping, interior. In accordance with requirements of the Building Act 1993, building projects in Victoria must be insured to protect the home owner. In compliance with this regulation all of our swimming pool renovationsand new projects are covered by Domestic Warranty Insurance. We also carry appropriate Public Liability Insurance and all employees are covered by WorkCover. All of our swimming pool designs are developed on an individual basis and specified by our structural engineers prior to application for a building permit. 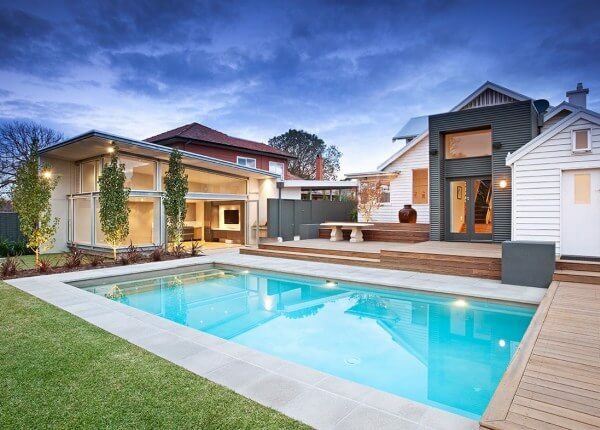 To enable our clients to understand and follow the process of swimming pool renovations or construction, swimming pool step-by-step construction programs are provided for every project. Our pool builders require clear access to the site to ensure safe and timely construction. In most cases it will be necessary to undertake site preparation works prior to the commencement of construction on swimming pool sites. The structural integrity of our poured concrete is a top priority. Each stage of construction is carefully co-ordinated and supervised by experienced Construction Managers and Supervisors. Every project is covered by a six and a half year structural warranty in accordance with the Victorian Building Act 1993. Our pool builders place a 75mm thick bed of coarse aggregate under the concrete to provide for sub-floor drainage to the main drain and hydrostatic pressure relief valve at the deepest extremity. To ensure structural integrity, our structures are made from steel-reinforced pneumatically-sprayed concrete as per our general specifications and our engineers’ computations. Installing quality water cleaning and filtration systems is vital to ongoing maintenance and usability. Water is drawn by the filtration equipment through the skimmer box over a hinged floating weir. A large capacity leaf basket then traps surface leaves and debris as the first point of water filtration. The dirt extraction system installed during construction of swimming pool will be located at the deepest part, allowing water, debris and suspended matter to be extracted from the bottom as part of the circulation and filtration system. A Hydrostatic Safety Valve is incorporated into the main drain, which is designed to relieve external water pressure that can cause the floatation of the shell. Our swimming pool designs incorporate all 50mm and 40mm PVC pressure pipework from the structure to the filtration system. 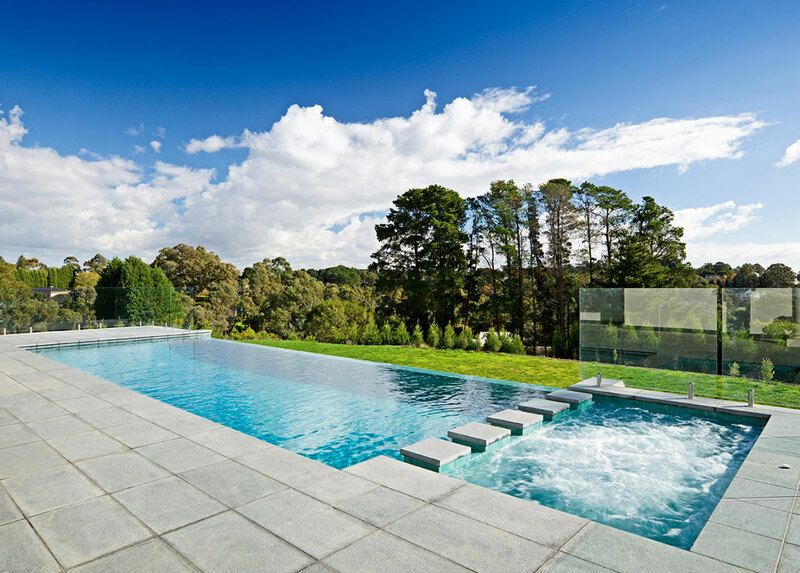 When it comes to developing your swimming pool designs, the finishes may be the elements you are most familiar with. We offer a wide range of finishes – along with extensive experience in design – to cater for every style. 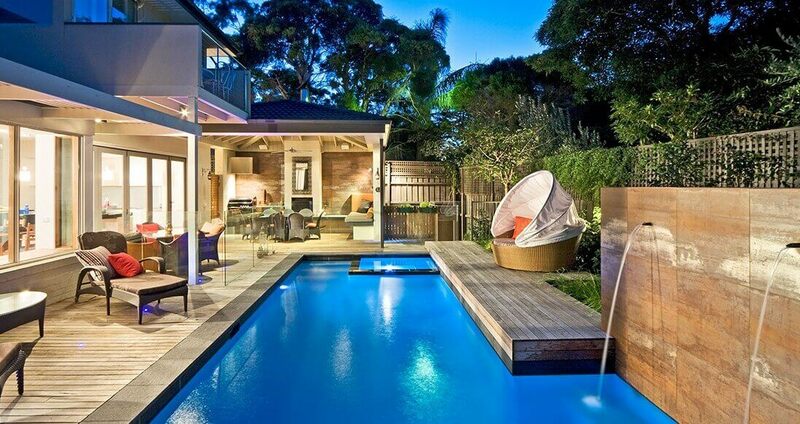 This range and experience also means that swimming pool renovationscan transform an out-dated, unappealing area into a luxurious lagoon or stylish spa. To provide a clean, minimal look that requires minimal maintenance, we recommend that the waterline be approximately 150-200mm of large format porcelain tiles to match the coping as selected. We suggest that the coping be set with an internal overlap to soften the waterline and reduce splashover. The interior can be finished in a Colour Quartz render as selected, providing a smooth non-slip finish available in a wide range of colours. Alternatively, for a high quality, low-maintenance finish in an extensive range of colours, textures and design options, our quotation includes waterproof rendering and full tiling of the interior in ceramic mosaic / large format porcelain tiles as selected. As evidenced above, we pride ourselves on our quality controls and attention to detail. Contact us today for a no obligations quote.